November 28, 2010 - Boeing is developing minor design changes to power distribution panels on the 787 and updates to the systems software that manages and protects power distribution on the airplane. These changes come as the result of what has been learned from the investigation of an onboard electrical fire on a test airplane, ZA002, earlier this month in Laredo, Texas. During approach to Laredo, Texas, last Tuesday, Boeing?s 787 Dreamliner ZA002 while on a test flight, lost primary electrical power as a result of an onboard electrical fire. Backup systems, including the deployment of the Ram Air Turbine (RAT), functioned and allowed the crew to complete a safe landing. The cause of the fire is still under investigation by Boeing. "We have successfully simulated key aspects of the onboard event in our laboratory and are moving forward with developing design fixes," said Scott Fancher, vice president and general manager of the 787 program. "Boeing is developing a plan to enable a return to 787 flight test activities and will present it to the U.S. Federal Aviation Administration (FAA) as soon as it is complete." Engineers have determined that the fault began as either a short circuit or an electrical arc in the P100 power distribution panel, most likely caused by the presence of foreign debris. The design changes will improve the protection within the panel. Software changes also will be implemented to further improve fault protection. 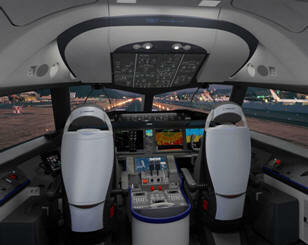 The P100 panel is one of five major power distribution panels on the 787. It receives power from the left engine and distributes it to an array of systems. The 787 team is now assessing the time required to complete the design changes and software updates that are being developed. A revised 787 program schedule is expected to be finalized in the next few weeks. "Our team is focused on developing these changes and moving forward with the flight test program," said Fancher. "The team in Laredo is also well along in preparing to return ZA002 to Seattle."